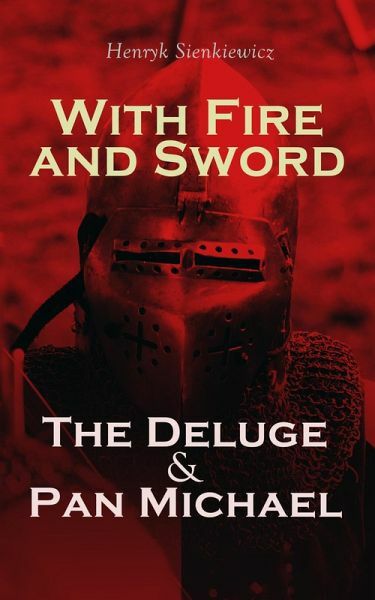 With Fire and Sword is a historical fiction novel, set in the 17th century in the Polish–Lithuanian Commonwealth during the Khmelnytsky Uprising. It gained enormous popularity in Poland, and by the turn of the 20th century had become one of the most popular Polish books ever. 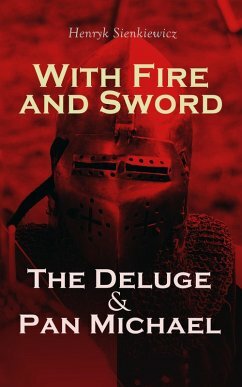 The second book, The Deluge, describes the Swedish invasion of Poland in the mid 17th century known as The Deluge, which followed the Khmelnytsky Uprising. The final novel, Pan Michael, follows wars between Poland and the Ottoman Empire in the late 17th century. Henryk Adam Aleksander Pius Sienkiewicz, also known by the pseudonym "Litwos", (1846 – 1916) was a Polish journalist, novelist and Nobel Prize laureate. He is best remembered for his historical novels, especially for his internationally known best-seller Quo Vadis.